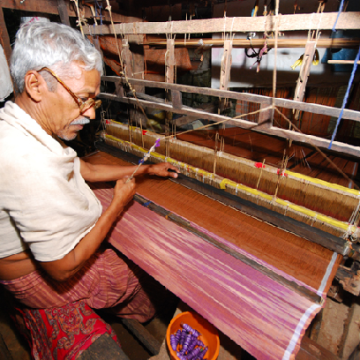 On this heritage tour of Muziris region we will get a glimpse into the culture and people of an ancient region. On this tour we will be visiting ancient Bhagavathy Temple, the first Church in India, ancient Shiva temple, old palace museum and an old Synagogue. In addition we will go on a backwater cruise and enjoy a sumptuous lunch at a beautiful resort. This tour is suitable for people of all ages, people with an interest in local livelihoods and cultures will specially enjoy this. Muziris was an ancient sea port and spice trading center in Kerala, southern India. Indian traders conducted business with Egyptians, Phoenicians, Greeks and Romans through this port. The presence of the ancient fort also exposed the region to various cultures and traditions from around the world. In 1344, the great Periyar floods made a major blow to Muziris, when river Periyar changed its course of flow and choking the port of Muziris. The port finds mention in Sangam literature and a number of classical European historical sources. Archaeological excavations that began in 2004 have confirmed the location of the port of Muziris is 30 KM north of Cochin. As a result of the excavations Muziris Heritage Project was born, to enhance the cultural heritage of central Kerala. A project that aims to give visibility to the human experience of this land, through museums and monuments, but also crafts, art and crafts, now at risk of extinction.